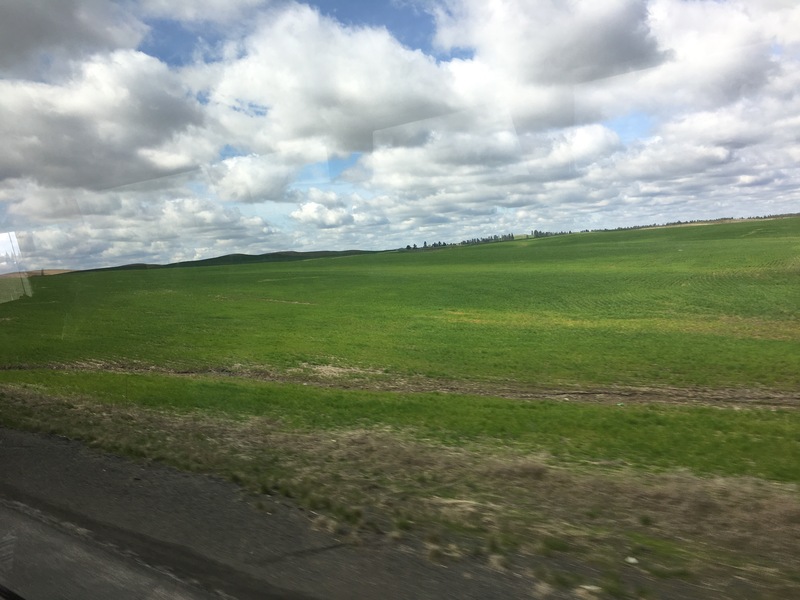 Parts of eastern Oregon and Washington are called The Palouse: a rolling grassland where the topsoil is sometimes dozens or hundreds of feet thick. We drove through this region today. I’d never seen anything like it: farms of 3500+ acres growing wheat, or peas or lentils. 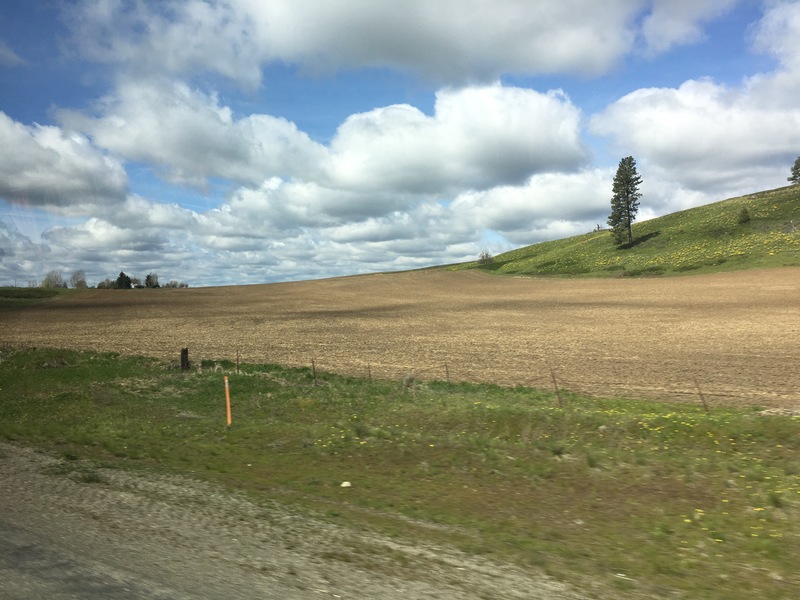 It’s a dry style of farming conducted without irrigation.